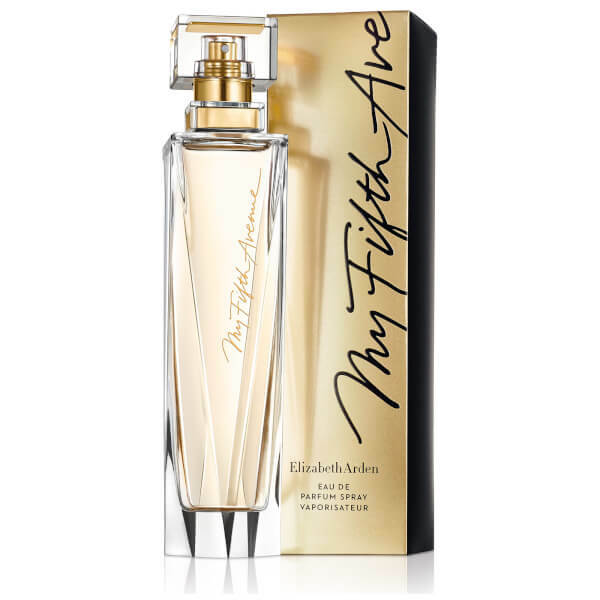 Inspired by the energy and culture of Fifth Avenue, the Elizabeth Arden My 5th Avenue Eau de Parfum is a dazzling floral fragrance that celebrates the ambition and limitless possibilities of women. Sparkling and effervescent, the invigorating perfume opens with a vibrant splash of citrus before succumbing to a floral bouquet of Lotus Flowers. Settles on a base of musks and Amber Woods. 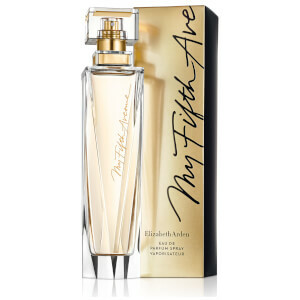 Housed in a sleek bottle with luxurious gold accents. Top Notes: Lemon, Mandarin, Fresh Ozonic Notes, Violet Leaves. Heart Notes: Lotus Flower, Jasmine. Base Notes: Musks, Amber Woods, Orris Flower, Cedarwood. Alcohol Denat., Parfum (Fragrance), Aqua/Water/Eau, Benzyl Salicylate, Butyl Methoxydibenzoylmethane, Ethylhexyl Methoxycinnamate, Ethylhexyl Salicylate, Propylene Glycol, Alpha-Isomethyl Ionone, Benzyl Alcohol, Benzyl Benzoate, Citral, Citronellol, Geraniol, Hexyl Cinnamal, Hydroxycitronellal, Limonene, Linalool, Ext. Violet 2 (Ci 60730), Orange 4 (Ci 15510), Red 4 (Ci 14700), Yellow 5 (Ci 19140).